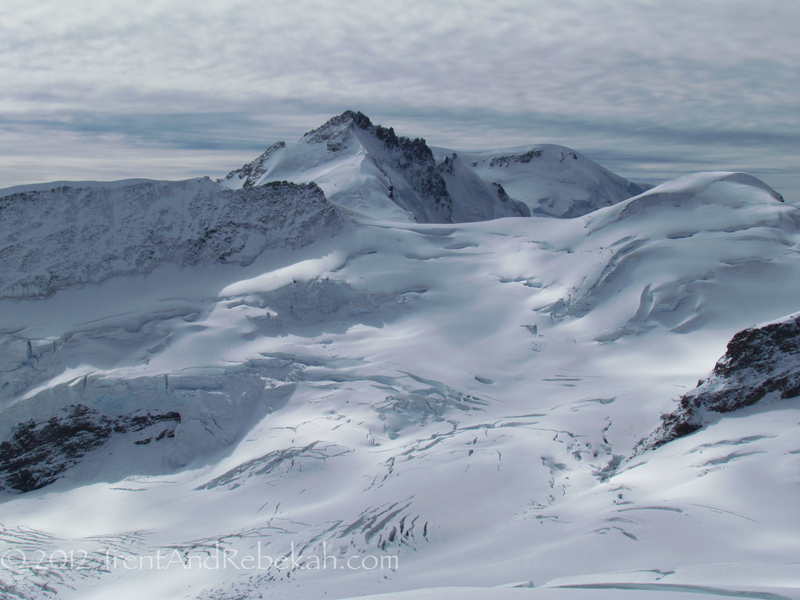 Before we get into the last post about the “Top of Europe,” here is what we plan to do with the blog after the trip. Most likely once or twice per week, we’ll try to post content much like you’ve seen so far. There is so much much history, culture, art, nature, and many photos going along with these items which we want to share. Hopefully you will like reading about it as much as we like writing about it. So check back in occasionally or sign up for email alerts over on the right side of the page, as we would love for you to continue the journey with us. We wrap up our trip with a breathtaking journey to the “Top of Europe,” and we mean that quite literally. At 13,642 feet above sea level, the Jungfrau peak is the highest point in Europe and almost everything becomes strenuous. 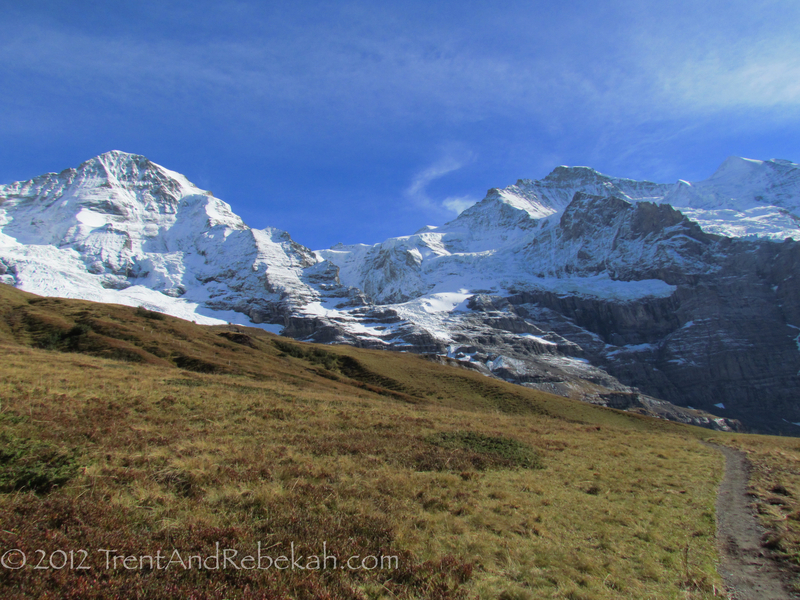 This is one of three peaks clustered together, the Eiger, Mönch, and Jungfrau. 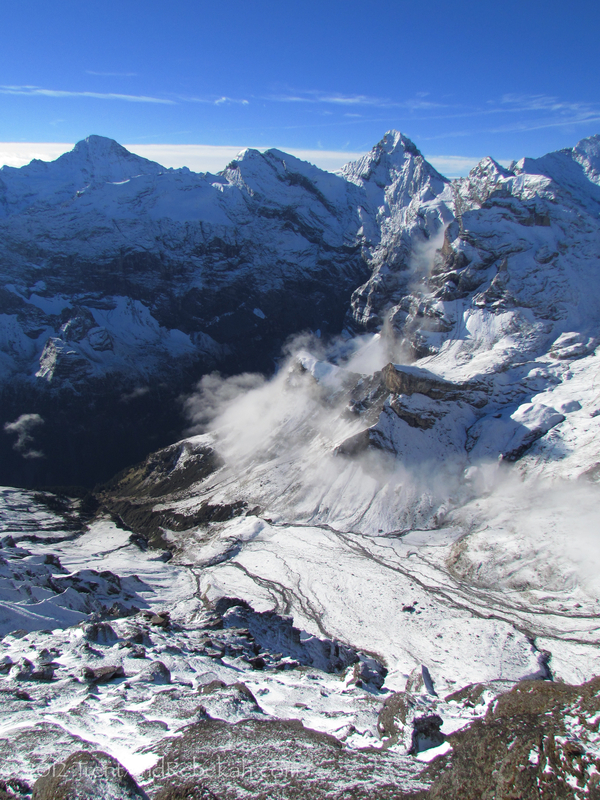 Some stories say the mountains represent the monk (Mönch) protecting the maiden (Jungfrau) from the evil ogre (Eiger). 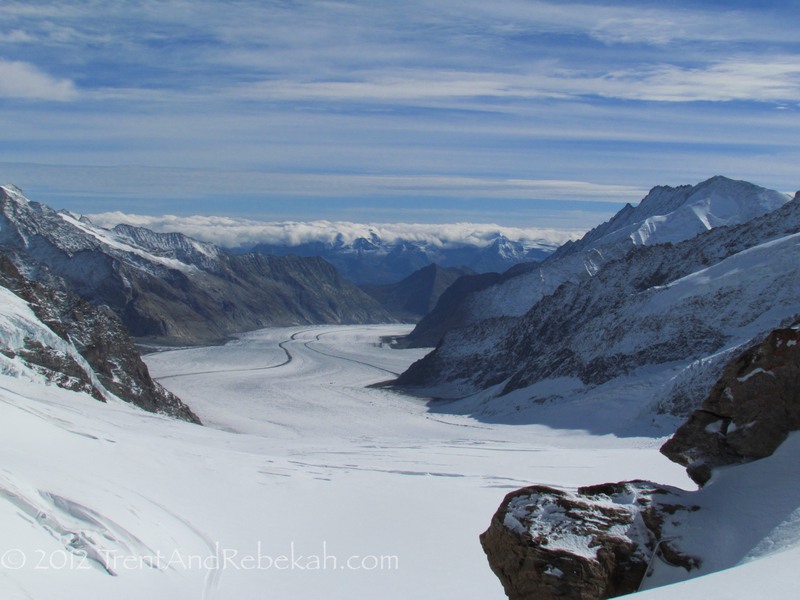 These peaks also front Europe’s longest glacier, the Great Aletsch Glacier (14 miles long, 3300 feet deep). All combined, it creates a panorama of the kind of beauty that can bring tears to your eyes. To get to the Jungfrau, we took a cogwheel train through a tunnel system in the Eiger, which began construction in 1893 and was completed in 1912. At the top (11,716 ft), we came out at the Sphinx astronomical observatory, clinging to the high point like some sort of lopsided shanty. Appearances aside, it offers an astounding view of the both the heavens and the earth. 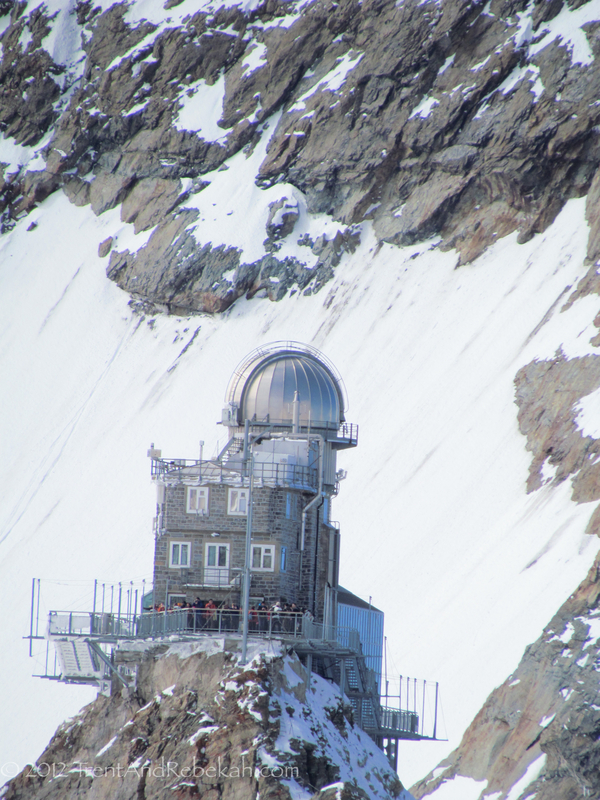 From the observatory, you can wander through a network of tunnels leading outside for the 45-minute hike across the edge of the glacier to the peak of the Mönch for a delicious and well-earned meal at the Mönchsjoch Hütte (Mönch’s Hut), a little way station perched on the side of the peak. Here you can enjoy a decadent concoction of bread smothered in 1/2 inch of Swiss cheese, ham, sausage, and all topped with a fried egg. It’s OK–hiking at that altitude burned those calories off pretty fast. On a side note, literature fans will also enjoy the fact that JRR Tolkein once toured the Berner Oberland area and was inspired by what he saw. The beautiful and gentle Lauterbrunnen valley became Rivendell. The glacial river rushing through the Lauterbrunnen valley at the foot of the Jungfrau also flows through Rivendell as the “Brunnen” river. The Eiger, Mönch, and Jungfrau make their appearance as the three peaks of the Misty Mountains in Khazad-dûm: Caradhas, Fanuidhol, and Celebdil–where Gandalf battled the Balrog. Tolkein loved the lore of Northern Europe, but he was enchanted by the geography as well. The valley itself is astoundingly lovely, with rough snow sheets melding into rolling pasture land. 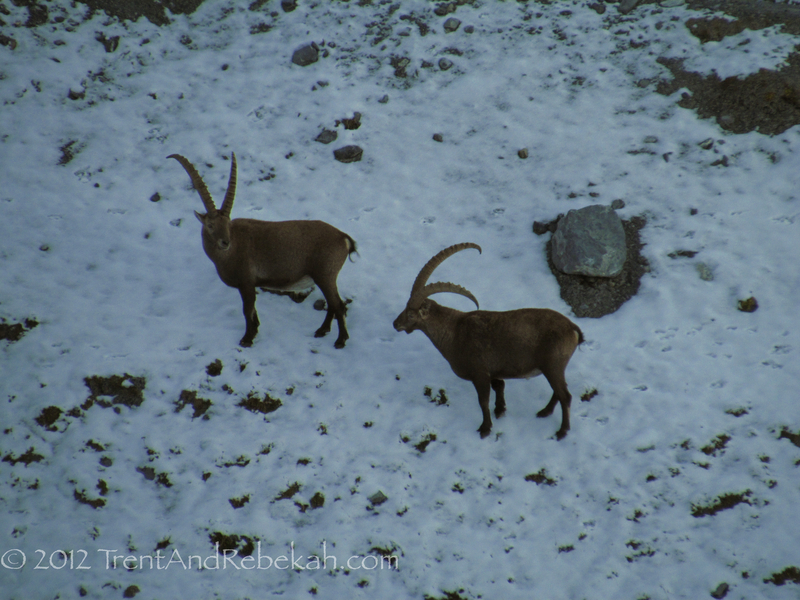 You can watch the occasional avalanche or herd of ibex above you in the mountains.